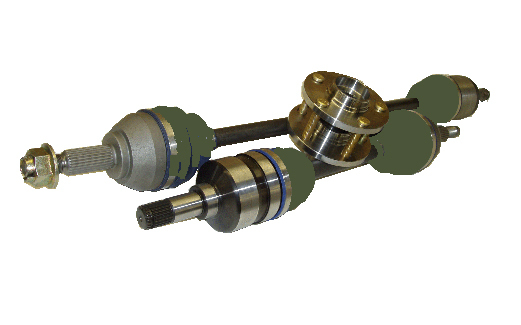 This is the Level 3 kit for the 2G FWD Eclipse non-turbo, The axles start with chromoly inner CVs that are de-stressed and tempered. The center bars are made from 4340 and are more torsional than the factory bars. The outer CV is about 30% larger and DSS includes new hubs with the larger spline and bolt-on wheel bearings (4 bolt flanges). Rated to 525HP with a 1-year warranty. Sorry no ABS rings on this kit, can be added for an additional charge.